Michael Vale is a visual artist, writer, curator and academic. In addition to exhibiting paintings, installations, photographs and video works he has also worked as a TV writer, scenery painter, interior designer, and art administrator. In 2006 he completed his PhD at Monash University with a multi-media “art fiction” project entitled Le Chien qui Fume – A Smokey Life. In 2006 he was awarded Best Film on Art at the prestigious Asolo Artfilm Festival in northern Italy for a video work entitled The Long Walk. 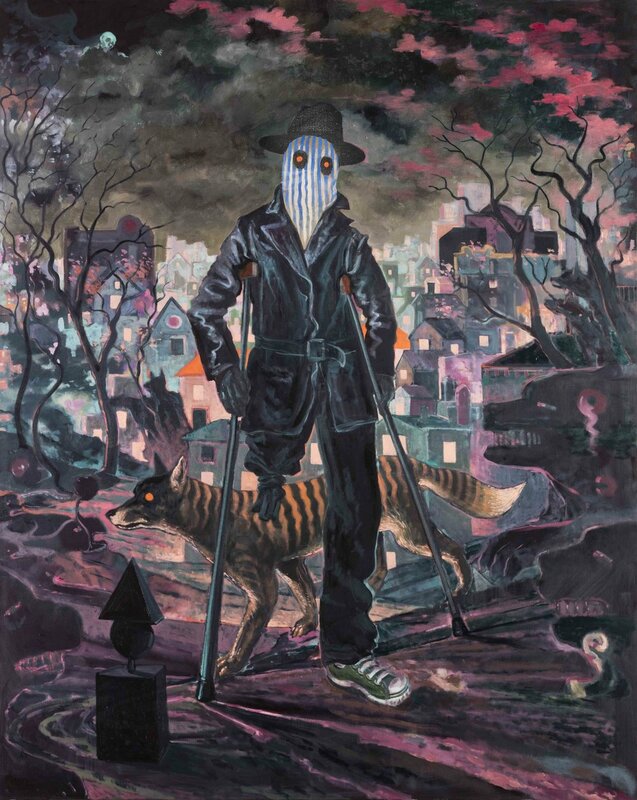 He has also been a finalist in the Archibald Prize on two occasions, with portraits of rock’n’roll musicians Dave Graney & Clare Moore in 2012, and Warren Ellis in 2013. Primarily trained as a painter,Vale has also worked extensively in film and TV as a script writer and support crew and, more recently, as a director and production designer. He has held 21 solo exhibitions since 1986, as well as curating and participating in numerous group exhibitions and short film festivals. 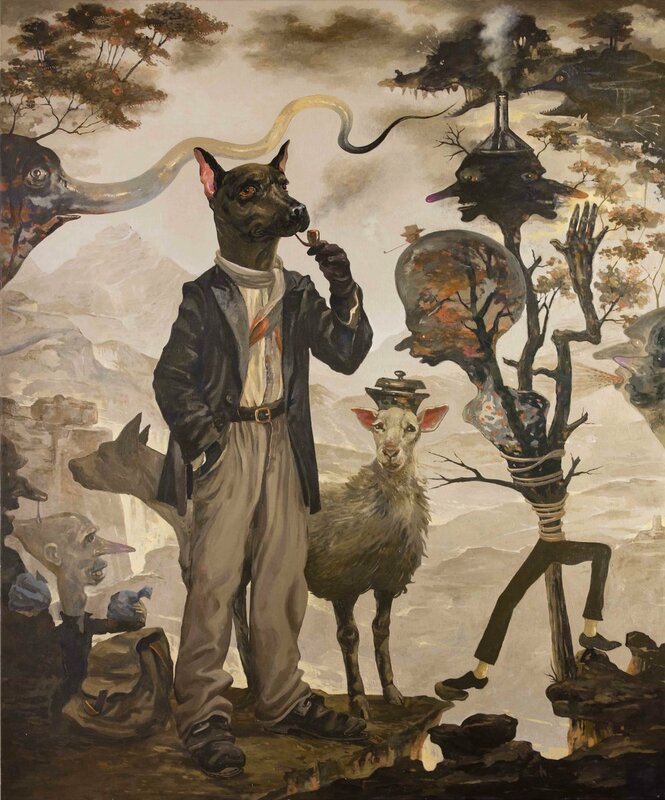 He is a senior lecturer in Fine Art at Monash University, having also taught at RMIT and the Hong Kong Art School . 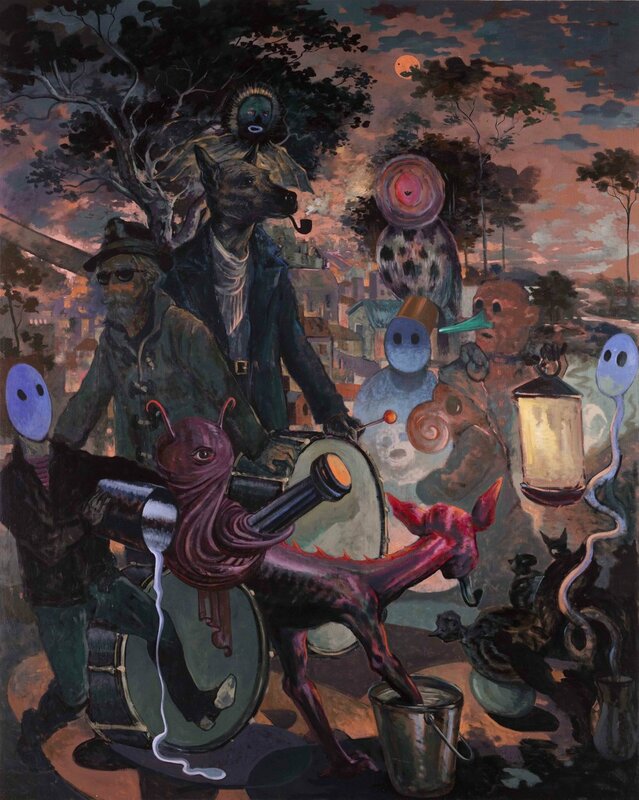 His works are held in several public collections in Australia, as well as private collections in Australia and overseas. During the 1980’s Vale was the inaugural director of Linden Contemporary Art Centre in St Kilda, and also worked as chief writer for the children’s TV show Shirl’s Neighbourhood as well as brief stints with Henson International TV, the ABC, and 3CR community radio.